The Minnesota State Public School Orphanage Museum has great opportunities for you to help with continued preservation efforts, meet and interact with people from all walks of life, and share the history of this unique site. The Orphanage Museum Board utilizes a volunteer-based program for the staffing of Cottage 11 for tourism. Men and women of all backgrounds and skill sets are encouraged to apply. Scheduling will be flexible and training will be provided. 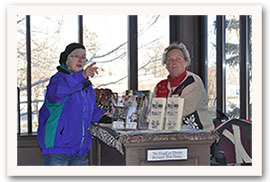 To learn more about volunteer opportunities, please email museum@ci.owatonna.mn.us or call 507-774-7369.